We DON'T "Home School" and NEVER Have! “The public education system is just a relic of the industrial revolution” (best-selling author of Rich Dad Poor Dad). One could defend (from both history and the “fruit” of the system) that the “public education system” was designed to groom pools of factory workers. Years of such “training” in memorizing information rather than actual thinking and creativity would effectively dumb-down masses of children for use in the blue collar assembly line system. Probably because of fear, not because of logical reason or effective results, many still DEFEND this not-so-modern school “system” as “relevant” in our generation. It is protected and vaunted with obsessive, obsequious fervor. So what is the alternative? Private schools using the same methodology? Probably not. There are some advantages, one would think, of higher pay and better teachers, and less dependency on the “relic of the industrial revolution” assembly line worker “rote memorization” school methods. Yet, it is still a far cry from Dr. Florida’s description above of the break-away objectives for creative training and mentoring. Some would say “home schooling” is the best alternative, but is that really true? Most “home schoolers” simply borrow factory techniques and curriculums and patterns, for ease of implementation. That can’t be very helpful. But, worse yet, the classic home school environment often depends on an educationally unqualified parent teaching 2-5 or more children at the same time, with different needs and demands and ever-changing levels for each child. In some cases a family who is “home schooling” will recognize their inadequacies in certain academic disciplines and add a “co-op” twist to their agenda. 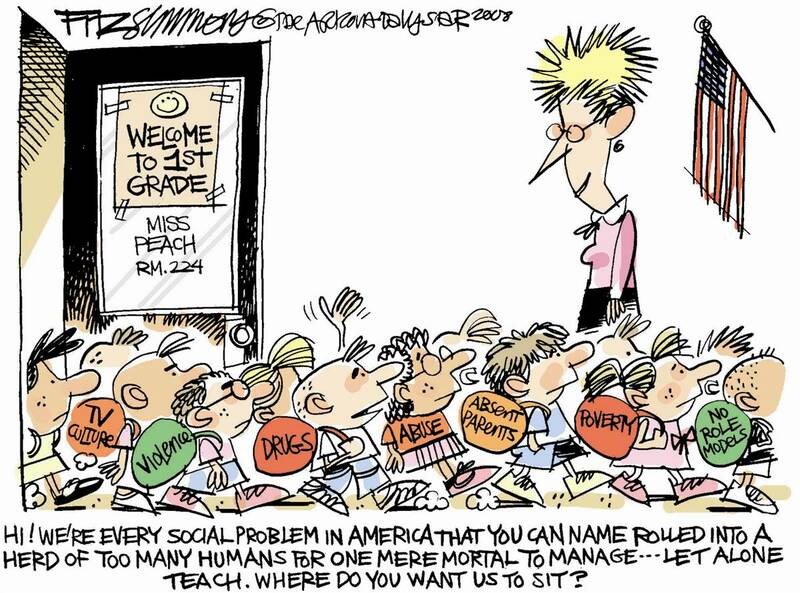 They’ll band together loosely with other parents who “home school” and then set up a factory-like day and time for a “class” taught by a special guest teacher to a small group of age-divided “home schoolers.” In many cases the “teacher” is still not particularly qualified, but only relatively more “qualified” than other average parents. The amount of time spent with the “students” of the informal “class” is likely only a fraction of what would occur in the archaic “relic of the industrial revolution” system. While the public schools (by their own research results) admit perhaps only one out of ten truly competent, creative, qualified teachers of character or academic excellence, this is probably a higher percentage than “home school” parents can honestly claim. The typical scenario of home educators using copy-cat curricula and without much background or expertise in what they are attempting to communicate to their young ones is surely a major disadvantage of this alternative. Nevertheless, home educating is growing in popularity worldwide annually. Results seldom are inferior to public or private attendance-based education. With somewhat lesser tools in many cases, why are the educational results of “home school” provably still often superior to the “school” system? The major advantage of home education is the “student/teacher ratio.” In this essential category, home educators are generally 500% or more better equipped than system-based, attendance-based public and private “schools” (aka “factory schools” for obvious reasons). This single advantage can provide gargantuan superiority to the “relic” factory system of course. Upper tier Universities boast in this student/teacher comparison of themselves to other less successful or prestigious colleges, though never equaling the ratio of home education. Additionally, the character degradation of young people endemic and quantifiable in attendance-based school systems is often greatly diminished in “home school” environments when adults are invested in the outcome of the young people, not merely taking a pay check and moving on next year. The peer pressure-dominated system of “age/grade” partitioning (described as “fools raising fools” and sometimes cloaked as “socialization”) has engendered a legendary nightmare of tragic results in the “rote” factory system. This is true in both attendance-based religious organizations, as well as educational institutions. So, what else is possible? For most, perhaps there must be a decision made as to “the lesser of two evils,” and then they must simply find a way to augment the life experience and education of the children. So be it. Life is like that sometimes, though we must never confuse “what everyone else seems to be doing” - with what is best. Seldom are these things the same. We are not guessing or hoping how it will all turn out. Twenty-three years later we have unquestionable proof of how it will turn out. It is NOT “home schooling” that Jesus did. Nor is it what we are doing. :) It is simply LIVING. There was NOTHING to “attend” with Jesus, nor is there today. Again not surprisingly, Jesus’ ways applied to ALL areas of Life have been mind-bogglingly successful in generating quality young people, virtually all with Ivy-League quality SAT scores, and then all “A’s” in advanced degrees at high-end big name universities and graduate schools. Consequently, this has created highly-recruited, highly-honored young people, leading to extremely successful careers in technology, business, and other areas. Simultaneously they have learned additional trades, athletics, arts, music, literature, and other skills. Statistically they have few rivals in any environment, relationally or academically. “When revelation comes to the second, let the first one SIT DOWN” is not very popular in factories. :) Such a way of personal growth is not at all popular in religious, or educational, or academic factories. Such offends the pride and wealth of the ruling and clergy class in business and religion and academia. Though popular and nearly ubiquitous, we consider this attendance-based factory system to be “deficient” as a plan for Life. A food kitchen is not a kitchen. A group home is not a home. Welfare is seldom welfare. Maybe consider all of this as an opportunity rather than a threat? NO ONE can be happy with the insanity of the current world and its religious expressions. Maybe reconsider this “relic” factory system, and ponder its better: FORMATION - rather than information. We don’t “factory educate” or “home school,” and we don’t really recommend either, per se. In this generation, most folks have few legitimate, true, daily relationships with competent successful trustworthy people. The religious world has mostly replaced Acts 2:42-47 with “attendance” and “show” and the institutions of religion and education are firmly ensconced in the power of tenure, power, and money. Such environments don’t allow for much trust, longevity, creativity, or true relationship across cultural and educational and chronological lines. Classic “home schools” need to be very careful to avoid the pitfalls of unbalanced “high water pants” children, who can be educationally and socially inept at times. Due to the limitations and narrowness of said system these potential pitfalls will remain unnervingly close to the surface. Still, home schooling holds significant advantages of student-teacher ratios and character development opportunities. The “relic of the industrial age” attendance-based system will always be deeply flawed if the objective is creative, unique contributing citizens and pioneers of solutions in a decaying industrial world. Done well, home education can produce stable, hard-working, innovative PEOPLE - rather than assembly-line educated students who are frequently drop-outs of both “school” and effective living. But, why not take it all to the next level in order to avoid the frequent pitfalls - the documented lack of balanced high-level education, physical fitness, and socialization?! We have NEVER, since 1987, even “home schooled” one child, as defined by common family and religious definitions. Rather, through genuine, insightful mentoring and tutoring in a multitude of cross-cultural, cross-chronological age barriers, in true daily relationship, we have built 100 or more young adults from cradle to balance, success, and influence in the marketplace. Jesus’ ways are just right, even with “every day people” like you, like us. We don’t, and you don’t have to be perfect to trust Jesus and His Ways and experience His fruit as mentioned above! If we just get caught up riding His Wave, there will be more “benefits” by accident in His Ways than in a thousand years of man’s clever, self-advancement, self-protection, Tree-of-Knowledge systems. The Tree of LIFE is better. ;) Jesus’ Ways are Good and Right. Rabboni, the Master, lived and lives it “as we rise up, sit down, and walk along the way.” He apprentices and mentors, as in Acts 2:42-47. No special days, no automatic people or places, no gimmicks, no programs, no hierarchy. Life!